One of the fundamental aspects of visiting the Chatham Islands is not just the friendly and welcoming inhabitants that are there to greet you and guide you around the island, but the fact that from the moment you set foot on the island, it feels like you have been instantly transported back in time. Here is a brief look at the history of the islands and some compelling reasons why a visit there would be such a voyage of discovery and provide you with some amazing holiday memories. The original inhabitants of Chatham Islands are the Moriori people, who actually lived there initially for almost 400 years without any contact from the outside world. This allowed them to develop their own way of life and customs including the abolition of war, a ruling that was severely impaired by the arrival of European sealers and whalers in 1835. Despite this clear change in the timeline of Chatham Islands, many of today’s Chatham Islanders are still able to trace their ancestry back to the original Moriori people. Located about 860 km from Christchurch and approximately 770 km from Napier, this group of islands is often considered to be an excellent example of how New Zealand used to be, and you may be able to include a visit as part of your cruise ship itinerary when you look at cruises that cover this part of the world on cruise comparison sites online. The Chatham Islands are a collection of small islands but only the two main ones are actually inhabited, which are Chatham Island, which is also referred to as R?kohu or Wharekauri, and Pitt Island, which is known locally as either Rangihaute or Rangi?uria. Head to Waitangi and you will be at the place that is the main settlement of the Chatham Islands and where most of the usual activities of daily life are carried out. Te Whanga Lagoon is actually twice the size of Wellington Harbour and was originally a bay, but the entrance has now become enclosed by sand dunes. It is a popular spot for fossil hunters and you may well come across some fossilised shark teeth from the jaws of a prehistoric megaladon that dates back some 30 million years. There are boats that head out to Flower Pot (Onoua) on Pitt Island where you will find just a handful of residents who make their living from both the sea as well as the land. Many visitors to the Chatham Islands are struck not only by the sheer beauty and seemingly untouched natural views to enjoy, but also by the amazing array of plant life that you can find there. A claim to fame in the botanic world is that the Chatham Islands is home to the world’s tallest daisy, known as the Chatham Island akeake. There are also a considerable number of endemic plants to witness, which of course makes your encounter with some of the plant life a truly unique experience. 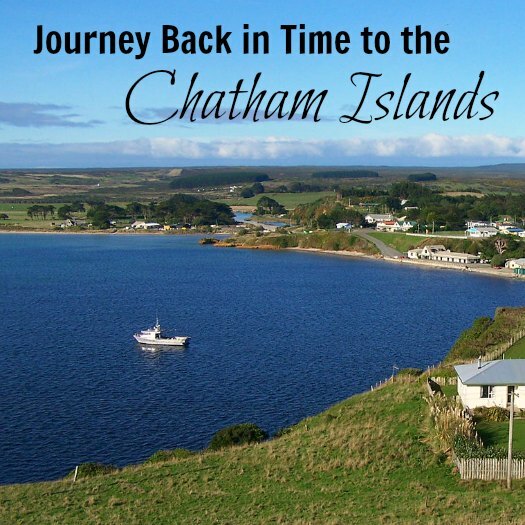 A visit to the Chatham Islands is really like travelling back in time and is an experience that should not be missed. Ryan Posa, founder of Cruise Republic, has cruised to such fantastic locations as Mexico, New Zealand, Alaska, and the South Pacific. After seeing the world, he often enjoys blogging about his favourite fascinating destinations across the globe. Keep up with Ryan’s latest Tweets here. When is the Best Time to Travel to Mongolia?